Good News! The Funds from our Successfull Kickstarter Campaign have finally come in and we are now working full force to finish the next two issues of Strength Monsters! 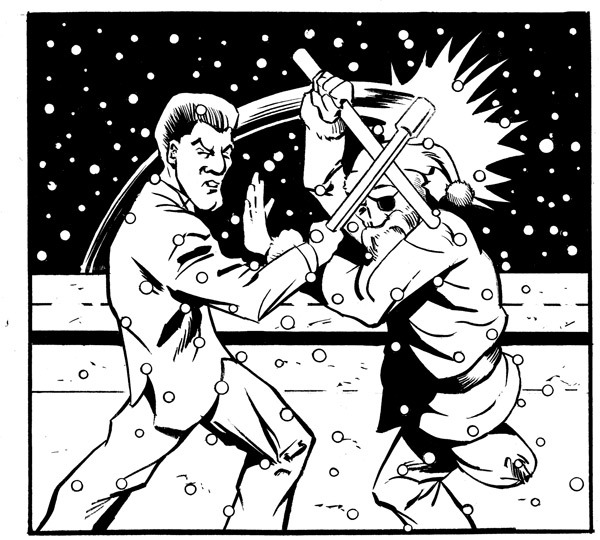 Here is a recently completed panel penciled by Marvel Comics Veteran Mike Witherby and Inked by Sam Kressin.